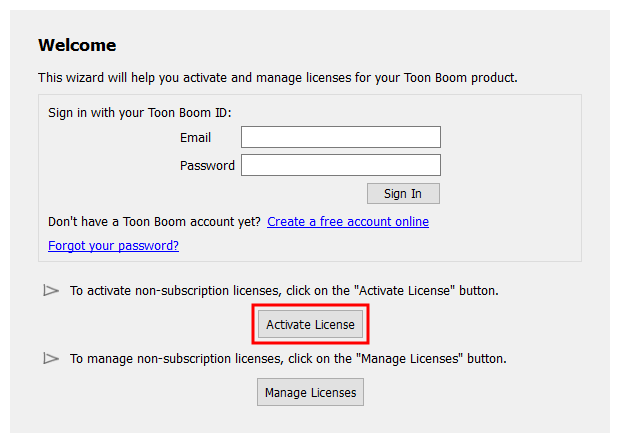 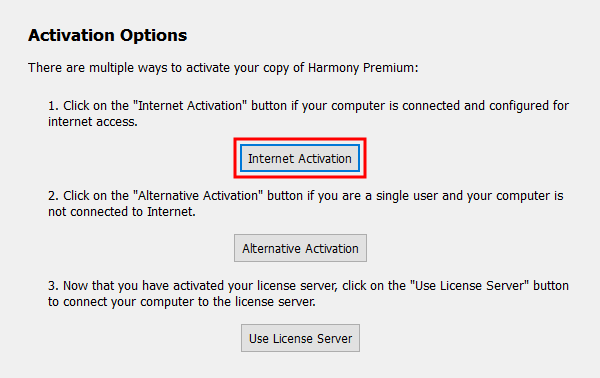 NOTE: Once a license is upgraded, its product code can be found in the My Downloads section of your Toon Boom account. 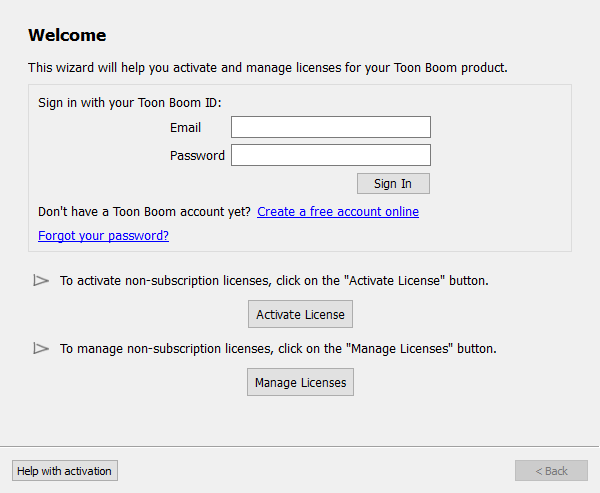 You can also view its product code by accessing the Manage Local Licenses or Manage Network Licenses dialog of the License Wizard—see Viewing Activated Local Licenses. 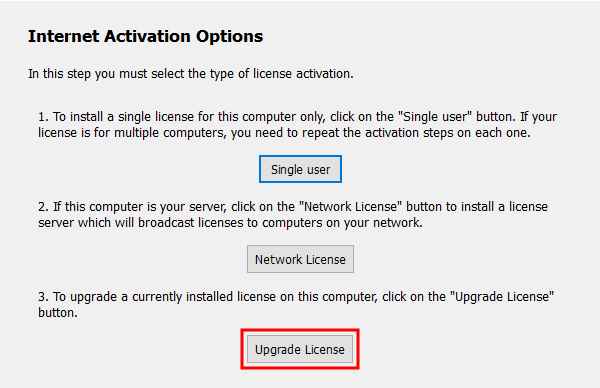 If you return the upgraded license, you can activate it on a different machine by using either the upgrade code or its actual product code.